How much does tarping my roof cost? Tarping your roof is FREE. 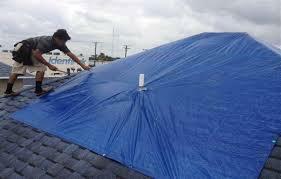 We will tarp your home or business at absolutely no cost to you as long as arrangements are made for permanent repairs. Our roof tarp pricing is based on a service fee specific to your type of roof, the square feet of tarp needed and safety hazards related to the roof surface (steep or high roofs). We provide an upfront quote after we view the property, and then we take payment once services are rendered. Our average emergency tarp install cost between $500 and $700, but can vary based on the amount of damage. In addition to providing the temporary repair itself, we also provide electronic images of the damages for you to provide to your insurance carrier. Following a hurricane or any disaster, the essential next step in the recovery process is the stabilization of your home or business to help stop further damage and to prepare to rebuild. DFW Best Roofing's goal is to make sure that owners are treated fairly and honestly in a catastrophe situation. We offer several options to best fit your needs including same day emergency response. Tarping a damaged roof is the important action that preserves the option for rebuilding a property after a disaster, without it deterioration may continue pushing repair costs beyond what may be affordable. If you don’t take the necessary precautions to prevent further disrepair, insurance companies may not pay for it. So, if your roof is already having problems, and the forecast calls for rain then take precautions to prevent more damage by getting your roof tarped, if not your claim may be denied on the basis of your negligence. 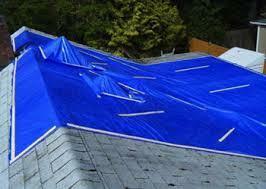 An emergency roof covering tarp has a temporary life of about 90 days. It may not be an option you prefer, but post hurricane or disaster it may be a temporary option until repairs can be made. 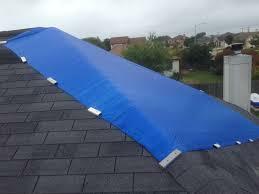 Emergency roof tarping in DFW's area and surrounding cities and counties is available. You Roof Tarp service includes: 1) tarp installation of tarp 2) Photographs of property 3) a estimate for any roof repairs or roof replacement you may need, and 4) if your insurance adjuster requests, one tarp removal and replacement of existing tarp is included if requested within 30 days of original installation of the tarp. Same Day Tarping Service. Even if its raining ! Average response time 4 hours. Tarping a roof because of leaks is a very dangerous job. If the storm has already hit, you may be unaware of gaping holes and damaged spots in your roof as you’re on it. Also, if it’s prior to the storm and there’s a slight drizzle outside, you can easily slip and fall off the roof. Tarping your roof on your own without the professional help of roofing technicians could lead to serious consequences. 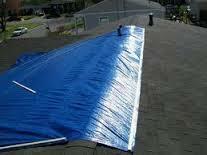 Roof tarping because of leaks is more affordable than you think. Factor in potential hospital bills should something go wrong and it’s an investment worth pursuing. Contact us today to schedule long-term or short-term roof tarping. 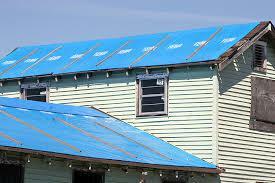 Short-term tarping is ideal prior to a storm or aggressive weather. Contact DFW Best Roofing s a day or two prior to a scheduled storm and we’ll provide immediate roof tarping service to protect your home. After the conditions have passed, we’ll be happy to come back out to tear down the tarp and inspect your roof for any damage caused by the weather. Has your roof been so damaged that the repair will take weeks to complete? Then long-term tarping is ideal. 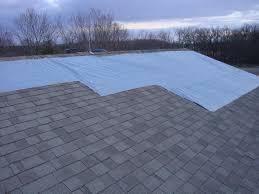 If you schedule a tarping because of leaks, then your entire roof needs to be protected during this fragile time. A couple small leaks can lead to a gaping hole should you not take the necessary precautions for your home. Contact us today to learn more about the importance and benefits of tarping your roof because of leaks. 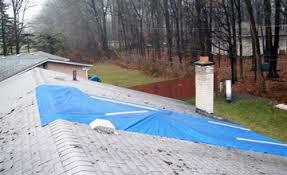 If your roof is compromised, call DFW Best Roofing to provide emergency tarp service. Our team will immediately deploy to assess and locate the failure. Once identified, a proper tarp is installed to prevent further migration of water into the building. Roofing emergencies can happen at any time and since it is an emergency you might think that any tarp cover will do to protect your roof when water is getting in and you might even try to do it yourself but the reality is that Tarp Covering a Roof is a detailed and dangerous procedure that only professionally trained roof technicians should do and only specially made roof Tarp Covers should be used to prevent more water from getting in or to prevent mildew and mold from forming. You need a professional who knows what type of tarps works best with roofs, and how to properly install them.